Satri Si Suriyothai School is a public school for girls offering secondary education from Mathayom 1 through 6. It was founded in 1922 and was named after Queen Suriyothai of Thailand. It was awarded as an “Excellent School: from the Office of the Basic Education Commission in 2005 and chosen as the “Best Practice School” in facilitating and helping students from the Thai Productivity Institute in 2006. Satri Si Suriyothai School was also awarded as Bangkok’s most energy-saving and environment-friendly school from 2008 to present. 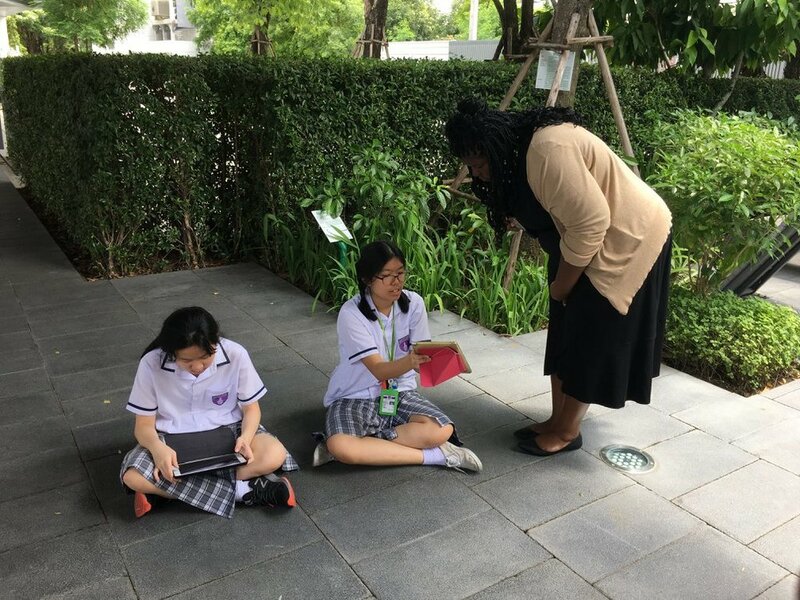 To date, the school has an enrollment of approximately 2,000 female students and it is located ion Charoen Krung Road in Sathorn: a short walk to Saphan Taksin BTS station. Satri Si Suriyothai school offers a Full English Program (EP) that consists of Math, Science, English Literature, History, and Health. Currently one grade level, Mathayom 1, is being taught at Suksanari School. The classrooms are fitted with dedicated air conditioners and LCD projectors. The number of students per class typically has a maximum of 35 students. Suankularb Rangsit, located in Rangsit just outside the Greater Bangkok area, a co-ed school that offers an extensive learning experience. Rangsit is a suburb north of Bangkok about 20 kilometers from Don Mueang Airport. The school is a 10 minute drive from Dreamworld. Suankularb Rangsit offers a Full English Program (EP) that consists of 18 hours of lessons per student in a completely English classroom. There are three primary subjects that are taught, English Literature & Grammar, Mathematics and Science at five hours a week per subject. The two secondary subjects being taught are Social Studies at 2 hours per week and Digital English at 1 hour per week. Currently there are six grade levels taught at Suankularb Rangsit, Mathayom 1, 2, 3, 4, 5 and 6. The classrooms are fitted with dedicated air conditioners and LCD projectors. The number of students per class ranges from 25 ? 35 students. Suankularb Rangsit also offers a 3-hour Intensive Communicative English Program for Mathayom 1 through 6. The curriculum focus solely on English Language skills. Each class typically has a maximum of 30 students..
Saipanya Rangsit is located in Rangsit just outside the Greater Bangkok area and is a co-ed school that offers a unique learning experience. It is accessible by bus or van from Victory Monument. It is a 10 minute drive from Rangsit University. The classrooms are fitted with dedicated air conditioners and LCD projectors. The number of students per class ranges from 25 ? 35 students. Saipanya Rangsit offers a Mini English Program (MEP) that consists of 17 hours of lessons per student in completely English classroom. There are three primary subjects that are taught which are English Literature & Grammar, Mathematics and Science at five hours a week per subject. Three secondary subjects are offered, ICT, Literary Science and Digital English at 2 hours a week per subject. Currently six grade levels are taught at Saipanya Rangsit, Mathayom 1, 2, 3, 4, 5 and 6. Saipanya Rangsit also boasts of a 3-hour Intensive Communicative English Program for Mathayom 1 through 6 and a 1-hour Conversational English Program for Mathayom 2 through 6. These programs focus solely on English Language skills. Each class typically has a maximum of 30 students for ICEP and up to 50 students for CEP. Saint Joseph Convent School, an all-girls private school located in Central Bangkok and founded in 1904, is one of the most popular institutions for primary and secondary education in Thailand. At its inception, the school met the needs primarily of Europeans who were making their home temporarily in Thailand. By 1936, Saint Joseph Convent School had been approved by the Thai Ministry of Education, and has since received four Royal awards for the best Elementary and Secondary School. The school is within walking distance from Sala Daeng BTS station and Silom MRT station. Free lunch is provided to all teachers at the school canteen. Saint Joseph offers a Mini English Program (MEP) that consists of 17 hours of content subject lessons per student in the English Language. There are three primary subjects that are being taught, English Literature & Grammar, Mathematics and Science at five hours a week per subject. The one secondary subject being taught is the Digital English Course (DEC) at 2 hours per week. Currently there are three grade levels in MEP at Saint Joseph Convent, Mathayom 1, 2 and 3. Saint Joseph also offers a 3-hour Intensive Communicative English Program(ICEP) starting from Prathom 3 up to Mathayom 3. The program focuses solely on English skills with emphasis on speaking. The classrooms are fitted with dedicated air conditioners, LCD projectors and desktop computers with access to the internet. The number of students per class ranges from 25 ? 35 students. Triumudomsuksa Ratchada is a well-known government school located in Huai Kwang area in central Bangkok. It was established in August 1961 and continues to deliver quality education to Mathayom students. It was previously known as Pracharatch Uppathum; the name was changed to Triamudomsuksa Pattanakarn Ratchada on February 10, 2003. To date, there are approximately 2,700 students enrolled in this school. The school is a 5 minute walk from Huai Kwang MRT station. Triumudomsuksa Ratchada offers a Mini English Program (MEP) that consists of 17 hours of lessons per student in a completely English classroom. There are three primary subjects that are being taught, English Literature & Grammar, Mathematics and Science at five hours a week per subject. The one secondary subject taught is ICT at 2 hours per week. Currently three grade levels are taught at Triumudomsuksa Ratchada: Mathayom 1, 2, and 3. The classrooms are fitted with dedicated air conditioners, LCD projectors and Interactive Whiteboards. The number of students per class typically has a maximum of 30 students. Suksanari School is a prominent public school for girls offering secondary education from Mathayom 1 through 6. It was founded by Somdejputthajarn (Nuam Putthasaramahatera), the abbot of Anongkaram Temple in 1910. The school was established inside Anongkaram Temple to provide education for females, who historically had not been emphasized in the Thai education system. To date, the school has an enrollment of 3,390 female students and it is located in the Thonburi district of Bangkok: close to Wongwian Yai BTS station. Suksanari school offers a Full English Program (EP) that consists of Math, Science, English Literature, History, and Advance Communicative English. Currently one grade level, Mathayom 1, is being taught at Suksanari School. The classrooms are fitted with dedicated air conditioners and LCD projectors. The number of students per class typically has a maximum of 35 students. Streesmutprakhan is a well-respected school located in Samut Prakhan, just a few kilometers southeast of Bearing BTS station. Streesmutprakan is known for its high standards of academic instruction producing students who have won in international competitions. Samut Prakan, also known as Pak Nam, is located 29 kilometers south of Bangkok around the area where the Chao Phraya River flows into the Gulf of Thailand. It is a town that dates back to the Ayutthaya period. Samut Prakan is not a popular tourist destination but it is home to numerous historical and cultural sites as well as such attractions as a crocodile farm, the Dinosaur Museum, Muang Boran Ancient City, and the Erawan Museum. Streesmutprakhan offers a Full English Program (EP) that consists of 18 hours of lessons per student in the English Language. There are three primary subjects that are being taught, English Literature & Grammar, Mathematics and Science at five hours a week per subject. The two secondary subjects are Social Studies at 2 hours per week per subject and Health at 1 hour per week. Currently two grade levels are taught at Streesmutprakhan, Mathayom 1 and 2. The classrooms are fitted with dedicated air conditioners and LCD projectors. The number of students per class ranges from 25 – 35 students for EP. Streesmutprakhan also boasts of a 5-hour Intensive Communicative English Program for Mathayom 1 through 5 and a 1-hour Conversational English Program for Mathayom 1 through 6. These programs focus solely on English Language skills. Each class typically has a maximum of 30 students for ICEP and up to 50 students for CEP. 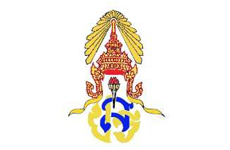 Kanaratbamrungpathumthani School is a distinguished government school offering secondary education from Mathayom 1 through 6. It was founded in 1929. The school was awarded the outstanding Dharmasakti reward in 2008 and was recognized as a large secondary school by the Royal Academy Awards in 2011 It is located in Pathumthani, Bangkok near Wat Pathum Thani Technical College. To date, the school has 2,164 students enrolled. Kanaratbamrungpathumthani School offers a Full English Program (EP) that consists of 18 hours of lessons per student in the English Language. There are three primary subjects that are being taught which are English Literature & Grammar, Mathematics and Science at five hours a week per subject. The two secondary subjects taught are Health and History. Currently three grade levels are being taught at Kanaratbamrungpathumthani School, Mathayom 1, 2, and 3. The classrooms are fitted with dedicated air conditioners and LCD projectors. The number of students per class typically has a maximum of 35 students. Suankularb Wittayalai is a top-tier all boys school, located close to Chinatown. If offers secondary education for grades 7th through 12th in?Thailand. Founded by King Chulalongkorn?in 1882, Suankularb is the oldest public secondary school in the country. Suankularb alumni include eight?Prime Ministers of Thailand, nine?Supreme Court?Chief Justices, five attorneys general,?Fortune Global 500?chief executive?and?chief financial officer,?scholars, as well as a number of prominent politicians and businessmen. Suankularb is a member of?Jaturamitr group of which members consist of four oldest boys’ schools of Thailand. The school is a five minute walk from Memorial Bridge and easily accessible by boat(Ratchawongse station). Suankularb Wittayalai offers a 3-hour ICEP program for Mathayom 1 through 5. Due to the advanced ability of the students, a special advanced curriculum called Advanced Conversational English (ACE) was developed to bring the students to a higher degree of spoken fluency with the ability to communicate effectively in a wide range of situations. The curriculum is divided into 3-week long themes. Each week focuses on a particular skillset and has 2 to 3 accompanying activities. Speaking activities will comprise approximately half of every class period. Classrooms are fitted with air-conditioners, LCD projectors, speakers ad internet access. Maximum class size is no more than 30 students. Wat Phrasrimahadhat Secondary Demonstration School, Phranakhon Rajabhat University, informally known as “Satit Wat Phrasri”, is a well-known secondary demonstration school in the outskirts of Bangkok, Thailand. It is operated under the auspices of Phranakhon Rajabhat University. 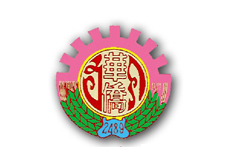 It was founded on July 1, 1953 by Plaek Phibunsongkhram. At its inception, the school only had 50 students enrolled. Today, there are approximately 1,000 students from Grade 7 to 12. Wat Phrasri is a highly selective, coed school with dedicated air-conditioned classrooms. It is located in Bang Ken area on Chaeng Wattana Road, approximately 10-15 minutes from Central Lad Phrao, next to Pranakorn Rajabhat University. There are approximately 25 students per class. Kaennakhon Witthayalai is a distinguished government school conveniently located in downtown Khon Kaen. It admits secondary students (Mathayom 1-6, equivalent to grades 7-12). Kaennakhon Witthayalai was established in 1968 by the Ministry of Education. To this date, there are approximately 3,853 students enrolled at this school. Khon Kaen is one of the four major cities in Northeastern, Thailand in terms of development and location. It is an excellent place to experience authentic, rural Thai life in the Isan setting while still having access to the amenities found in its progressive city. Kaennakhon Witthayalai school offers a Full English Program (EP) that consists of Math, Science, English Literature, History, and Health. Currently one grade level, Mathayom 1, is being taught at Kaennakhon Witthayalai School. The classrooms are fitted with dedicated air conditioners and LCD projectors. The number of students per class typically has a maximum of 35 students. Marie Anusorn School is a prestigious private school, located in downtown Buriram in Northeastern Thailand. It was founded in 1982. 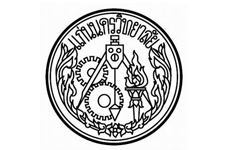 The school’s former name was “Anuban Marie Anusorn School”. In 1983, the school changed their name to Marie Anusorn School. The school started with only 234 students and 11 teachers. In 2013, the school grew to have over 3,500 students and 173 teachers. Marie Anusorn School is now the largest private school in Buriram. It is a coeducational school that offers quality education from Nursery, Kindergarten 1-3, Grade 1?9 (Prathom 1-6 and Mathayom 1?3). The province of Buriram can be found in the northeastern part of Thailand. Burirum City is a key commercial and transportation hub in the Northeast. It is an excellent place to experience authentic, rural Thai life in the Issan setting while still having access to the amenities found in its progressive city. Marie Anusorn Buriram offers a 5-hour Intensive Communicative English Program (ICEP) for Prathom 1 through 6. This program focuses solely on English Language skills and provides students with a strong foundation of the language in order to succeed in the following years of learning. . Each class typically has a maximum of 30 students for ICEP. The classrooms are fitted with dedicated air conditioners and LCD projectors. Marie Upatham Chaiyaphum is a prestigious coeducational private school serving preschool through Grade 9. It was founded on 3 acres of land in downtown Chaiyaphum on May 3, 1979 with only 45 students and 4 teachers. The school has now grown to serve over 2,000 students expanding its area to almost 8 acres. Keeping with the high standards of the Marie group of private schools is Northeastern Thailand, Marie Upatham earnestly strives for academic excellence and continues to be top ranking institution in regional competitions. The campus is fairly large and well-kept. Free lunch is served at the school lunch hall which also turns into a venue for events such as Wai Kru Day and Mother?s Day. Chaiyaphum is located in the Northeastern region of Thailand known as Isan. This region is well known for its rich historical and cultural heritage with Thai, Lao and Khmer influences. Chaiyaphum is an old city dating back to the Khmer Empire beset with natural beauty and a long history. Today, its old town charm is still what sets this city apart. Customs and traditions are still observed whilst modern technology and amenities like Tesco and Big C make life more comfortable. Marie Upatham Chaiyaphum is home to a highly successful 5-hour Intensive Communicative English Program(ICEP) from Prathom 1 to Prathom 6. The curriculum engages the learner to build a solid foundation of the basic skills and produce the language naturally through comprehensive classroom experiences with a native speaker. Dedicated ICEP classrooms are air-conditioned with complete multimedia consoles and internet access. Each class typically has a maximum of 30 students..
Hua Kiew Buriram is an influential elementary school located in central Buriram. The province of Buriram can be found in the northeastern part of Thailand. Buriram City is a key commercial and transportation hub in the area. This rural area is ideal for an authentic Issan experience while having convenient access to city life amenities. Hua Kiew Buriram offers a Mini English Program (MEP) that consists of 15 hours of lessons per student in a completely English classroom. There are three primary subjects that are taught which are English Literature & Grammar, Mathematics at five hours a week per subject and Science at 4 hours per week. The one secondary subject taught is Health at 1 hour per week. Currently there are two grade levels being taught at Hua Kiew Buriram, Prathom 1 and 2. The classrooms are fitted with dedicated air conditioners and LCD projectors. The number of students per class ranges to a maximum of 30 students. Pathumthep Witthayakarn is a distinguished secondary school conveniently located in downtown Nong Khai. It admits secondary students (Mathayom 1-6, equivalent to grades 7-12). Pathumthep Witthayakarn was founded in 1967 by the Ministry of Education and is the mergence of 2 former schools, Nongkhai Witthayakarn and Satreenongkhai Pathumtheprugsan of Nongkhai province. To this date, there are 4,000 students enrolled at this school. Nongkhai is the northernmost of the northeastern provinces of Thailand. It is located on the banks of the Mekong river and the provincial capital, also called Nongkhai, is a gateway to Vientiane, the capital of Laos. Nongkhai is an excellent place to experience authentic, rural Thai life in the Issan setting. Pathumthep Witthayakarn school offers a Full English Program (EP) that consists of Math, Science, English Literature, Health, ICT, English through Science, Advanced Communicative English. Currently one grade level, Mathayom 1, is being taught at Pathumthep Witthayakarn School. The classrooms are fitted with dedicated air conditioners and LCD projectors. The number of students per class typically has a maximum of 35 students. Marie Pitak School is a prestigious coeducational private school serving preschool through Grade 6. It was founded on 3 acres of land in downtown Nang Rong on Dec 3, 1978 with only 350 students and 10 teachers. The school has now grown to serve over 1,200 students expanding its area to almost 4 acres. Keeping with the high standards of the Marie group of private schools is Northeastern Thailand, Marie Pitak earnestly strives for academic excellence and continues to be top ranking institution in regional competitions. The campus is fairly large and well-kept. Free lunch is served at the school lunch hall which also turns into a venue for events such as Wai Kru Day and Mother?s Day and open house. Nang Rong is located in the Northeastern region of Thailand known as Isan. This region is well known for its rich historical and cultural heritage with Thai, Lao and Khmer influences. Nang Rong is an old city dating back to the Khmer Empire beset with natural beauty and a long history. Today, its old town charm is still what sets this city apart. Customs and traditions are still observed whilst modern technology and amenities like Tesco and 7-11 make life more comfortable. Marie Pitak school is home to a highly successful 5-hour Intensive Communicative English Program(ICEP) from Prathom 1 to Prathom 6. The curriculum engages the learner to build a solid foundation of the basic skills and produce the language naturally through comprehensive classroom experiences with a native speaker. Dedicated ICEP classrooms are air-conditioned with complete multimedia consoles and internet access. . Each class typically has a maximum of 35 students. Rung Arun Wittaya School is a private Catholic school located in Pak Chong in the province of Nakon Ratchasima. It is a distinguished, co-educational institution serving Preschool through Grade 12; for the older students, the school boasts O-Net scores above the national average. The school has a friendly and inviting atmosphere and teachers are encouraged to be a part of the community through participation in school activities and assemblies. Teachers are also welcome to take part in the free lunch served at the canteen and to sit and socialize with the other teachers. The school facilities are well-resourced and the classrooms used by BFITS teachers are especially lavish as they were built for one of the princesses. The school itself is located in the downtown Pak Chong and a five minute walk to either of the two bus stations. The most common methods of getting around town are by motorbike taxi or songtaew, which run along the main road. The town is located about 30 minutes by car from Khao Yai national park and as a result, boasts beautiful scenery and cooler temperatures in the winter months. It takes about one and a half hours to reach Korat and three hours to go to Bangkok by bus or van. Rung Arun Wittaya offers a 5-hour Intensive Communicative English Program (ICEP) for Prathom 1 through Prathom 6. This program boasts of a comprehensive curriculum that builds and hones all aspects of the student?s English Language skills on a daily basis. Each class typically has a maximum of 30 students. Anuban Surat Thani School is a Kindergarten and Primary/Elementary School located in the city of Surat Thani is in the south of Thailand. The school has around 1600 students. It has a nursery section (Tonkla), Kindergarten (Anuban), and 3 programs for its Primary/Elementary age students. There is a Math and Science Program, Regular Thai Program, and the English Program. The English Program and English Program Kindergarten Classes are run by BFITS and use Mcgraw-Hill resources (Books used in the American Curriculum). All of the EP classrooms have multimedia systems, are air conditioned, and also have ceiling fans. The EP program has around 185 students, with one class of between 25-30 students in each grade level (Prathom 1-6 or P1-P6). The Kindergarten has one EP K2 class and one EP K3 class with around 25 students in each class. There are three primary subjects that are taught in the EP by BFITS staff which are English for 6 hours a week, Mathematics at five hours a week, and Science at 3 hours per week. The one secondary subject taught is Health at 1 hour per week. BFITS teachers also teach 1 or 2 sport lessons a week.